And just like that, the holidays are coming at us at full speed! Anybody hyperventilating yet? One of the most stressful parts of the holidays for me is hosting parties with kiddos. Wine nights with adults, cheese boards, and great music? FUN TIMES AHEAD. But cookie decorating parties with toddlers and preschoolers licking fingers and spilling sprinkles everywhere? I’ll admit – this scene is not my strong suit. But with three little ones, children’s holiday parties are part of the landscape for the foreseeable future and I’ve been determined to figure out strategies to make these events more enjoyable and less stressful for parents and kiddos alike. Children’s parties seem to sail along more effortlessly when expectations are clear. Whether y0u choose to have a Christmas cookie decorating party or a secret Santa gift exchange or a card-decorating party or a shoebox-packing party – make the focus and the goal clear so parents and small guests alike all are excited and ready to participate together on a shared activity. Two years running, I hosted the preschool cookie-decorating party for our church. In preparation, I simply emptied my entire playroom, hiding away most of the toys and furniture that I didn’t want to be coated in sugar and frosting. Then I covered tables and the floor in plastic and used baby-gates to corral parts of the house that were off-limits to little feet, and voila! My house was ready for a stress-free time of frosting fun with little ones and cleanup was a cinch. Don’t be embarrassed about having realistic expectations for messes – setting boundaries will prevent unwelcome surprises and ensure that everyone has an enjoyable time. Outsourcing has few bigger fans than me, as our readers know. 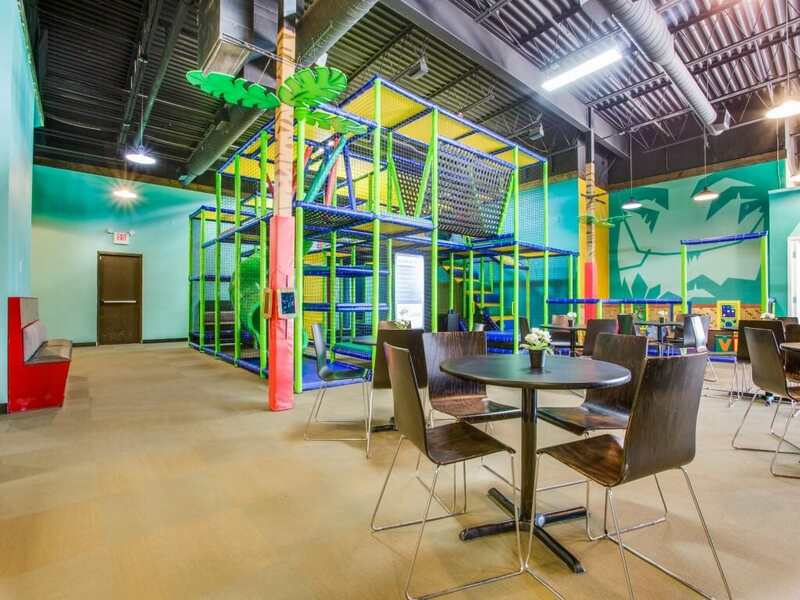 When there are catering options as well-designed, carefully curated, and delicious as the food provided by Jungle Joe’s, a fabulous indoor playspace and cafe located in the heart of Frisco, there’s really no reason to spend lots of time shopping and preparing food. A kid’s platter combination of pb&j sandwiches, grilled cheese, and chicken nuggets alongside a family-style power-protein bowl. Want to outsource further? Jungle Joe’s offers fantastic party options for incredibly reasonable rates. The entire place can be rented out for $700-1,000 while individual rooms can be rented out for even less. 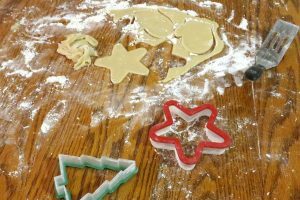 By renting a room for a private party, parents can organize cookie-decorating events, winter birthday parties, and gift exchanges while letting the fantastic Jungle Joe’s staff handle the food and decorations. Plentiful theme options include Paw Patrol, Thomas the Tank Engine, Little Mermaid, Minnie Mouse, and Dinosaurs. One of Jungle Joe’s party options includes a cake option and even the goody-bags can be prepared by Jungle Joe’s. Kids will love the tumbling, running, and climbing provided by the gym and parents will love knowing that they don’t have to scrub frosting from their carpet afterward. Make this year the year you let go of the stress and head for the fun – say “yes” to the parties, equipped with strategies to minimize the effort and maximize the good memories this holiday season.